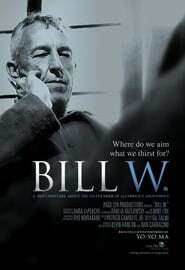 William G. Wilson is co-founder of Alcoholics Anonymous, a man included in TIME Magazine's "100 Persons of the 20th Century." Interviews, recreations, and rare archival material reveal how Bill Wilson, a hopeless drunk near death from his alcoholism, found a way out of his own addiction and then forged a path for countless others to follow. With Bill as its driving force, A.A. grew from a handful of men to a worldwide fellowship of over 2 million men and women - a success that made him an icon within A.A., but also an alcoholic unable to be a member of the very society he had created. A reluctant hero, Bill Wilson lived a life of sacrifice and service, and left a legacy that continues every day, all around the world.